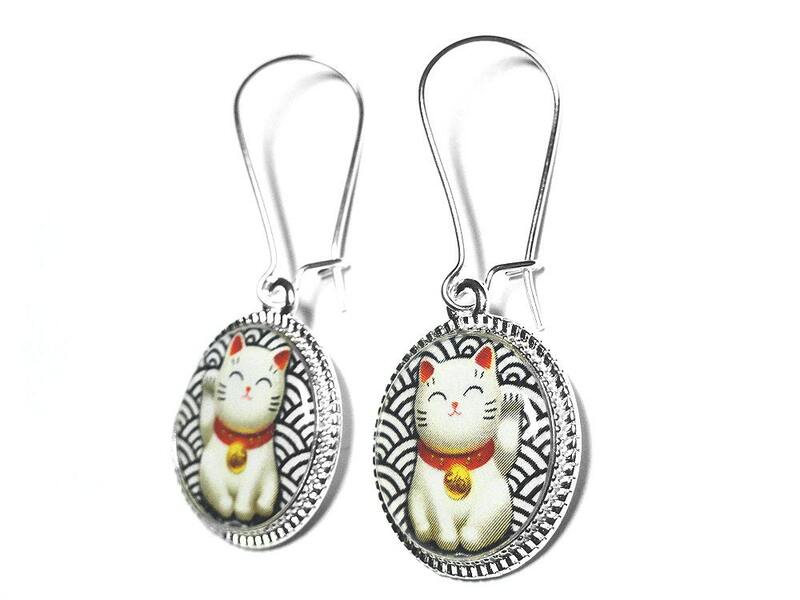 These adorable Lucky Cat earrings measure 3/4" and about 1.5" total drop including the ear wires. 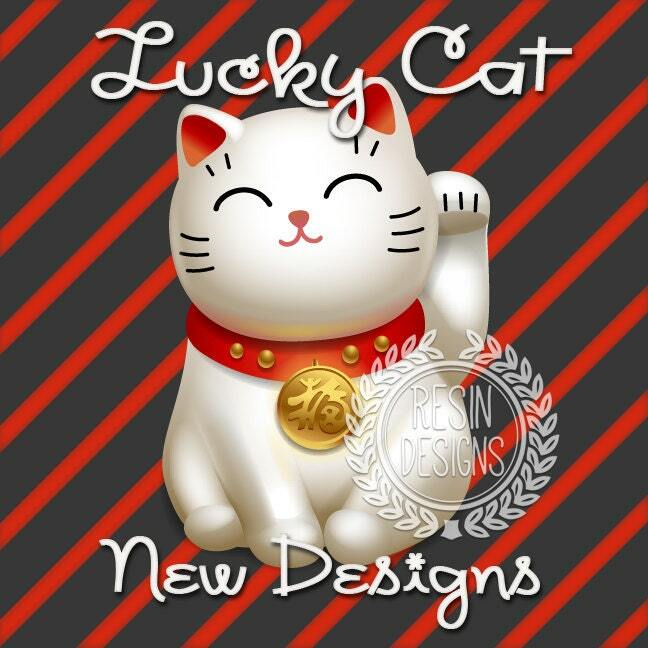 About Maneki Neko: The maneki-neko (also known as beckoning cat or lucky cat) is a common Japanese figurine/lucky charm/talisman which is often believed to bring good luck and prosperity to the owner. Japanese folklore suggests that keeping a talisman of good fortune will bring about favorable results and life successes. The earrings are made using only the finest jewelers grade resin in order to preserve and enhance the professionally printed images. Please select from a silver finish as shown or antique bronze at check out. 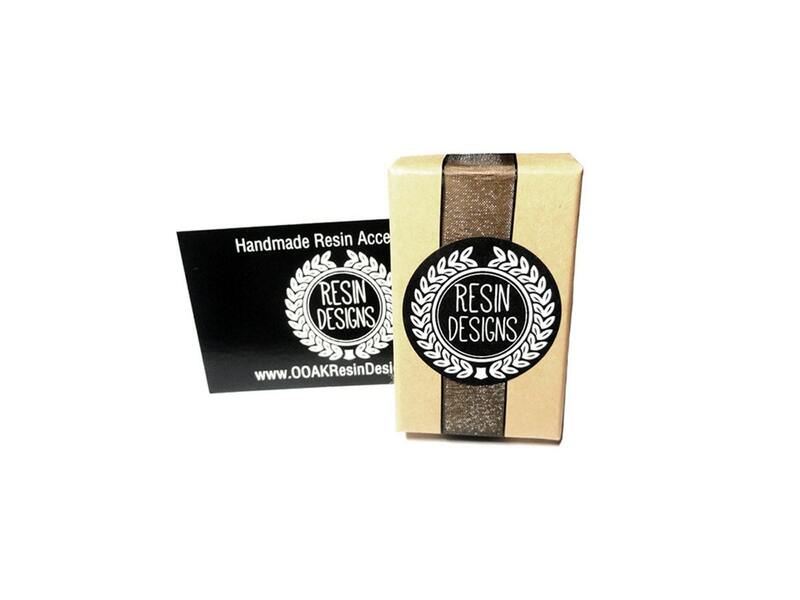 Your item will be packaged in a Kraft jewelry box with black ribbon as shown above. 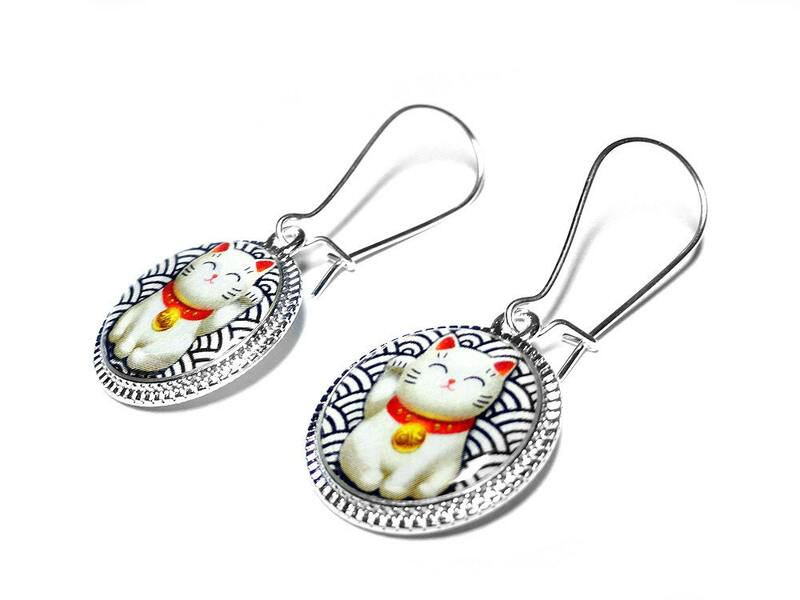 Received these adorable Maneki Neko earrings a few days ago and have been wearing them ever since, and i must say, i have 0 complaints!! Love these, and am so glad i purchased them. The awesome seller even threw in a matching hair pin, which also has barely left my head, so thank you for it all, OOAKResinDesigns!!! 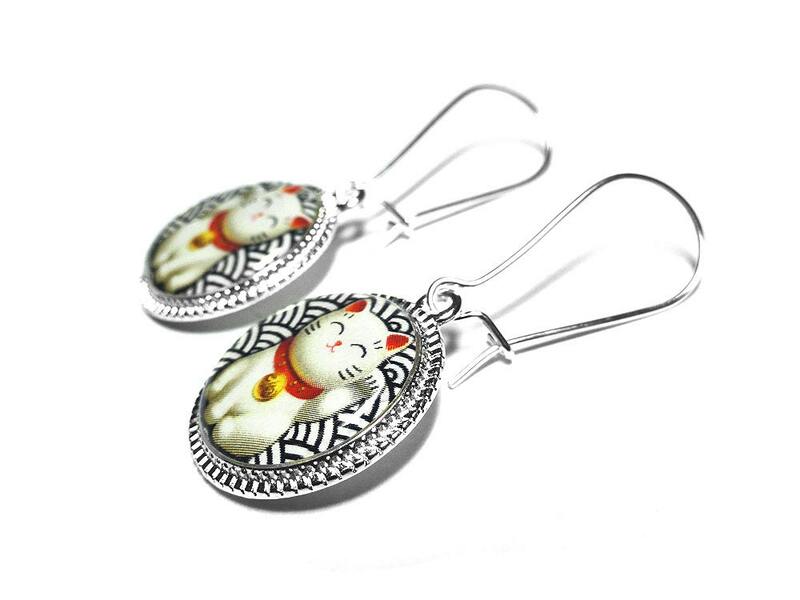 I looked at a lot of maneki neko earrings before deciding on these, and I think I made the right choice. They are beautiful and very nicely made. I also love the hook style, where it clasps in the back. Not enough hook earrings have that.